Conventional wisdom says that ease by the Federal Reserve is good for business and tightening by the Fed is a head wind for business. But there’s nothing conventional about the financial environment we’re living in today. The fact is raising rates may be a positive if business is thriving, growth is strong and companies are competing for funds. Higher rates keep a lid on inflation and let only the most creditworthy projects move forward. Rising rates can also be a problem if growth is weak, inflation is nowhere in sight and the Fed is just storing up dry powder for a recession they may end up causing. Likewise, rate cuts may be fine if growth is weak and the economy needs a boost but may be dangerous if growth is strong and inflation is on the rise. It all depends on conditions. In October, the Fed FOMC took a hawkish stance and made it clear they intended to keep raising rates. The next rate hike came right on schedule in December. Then the Fed did an about-face and turned dovish in a late-December speech by Fed chair Jay Powell. 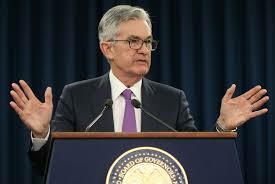 This signaled that there would be no rate hikes until further notice. Stocks rallied based on this new ease. But market participants may want to think twice. As this article explains, the reason the Fed eased was because growth was weakening in the U.S. and around the world. The Fed did not want to cause a recession, but it may be too late to avoid one because of the Fed tightening from 2015–18. The Fed deserves credit for doing the right thing now, but if a recession comes soon, they’ll also get the blame for waiting too long. Investors should keep an eye out for recession indicators. One may be on the way.